The 9S12NE64 microcontroller used on this product is no longer manufactured, however we still have a limited supply to support legacy users. 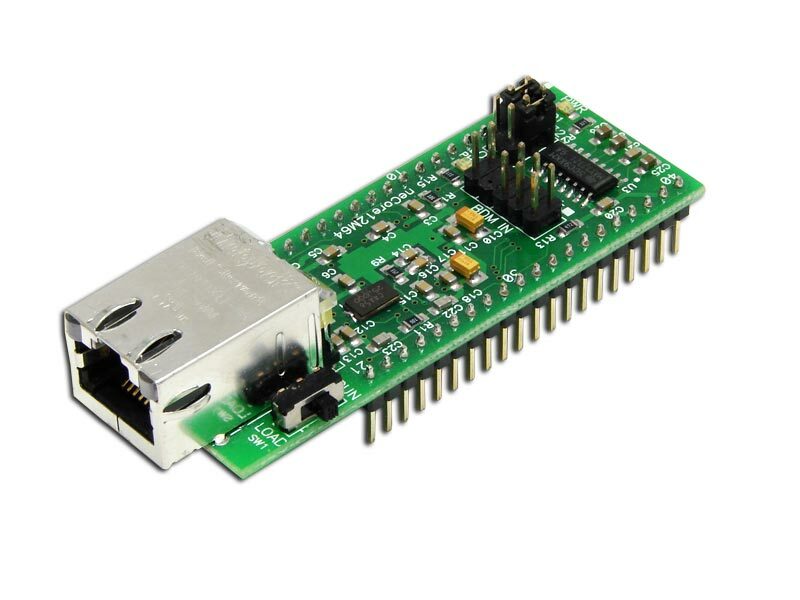 neCore12TM is a low-cost family of DIP modules that brings the advanced features of the Freescale MC9S12NE series of "networked embeddable" microcontrollers within easy reach of engineers, students, and hobbyists. The flexible design accomodates all facets of training, evaluation, development, prototyping-- and even volume production. Ethernet isn’t just for offices anymore. Freescale Semiconductor’s MC9S12NE64 single-chip, Flash-based Ethernet solution with an embedded 10/100 Ethernet media access controller (EMAC) and Ethernet physical layer (EPHY) meets the needs of design engineers working on applications such as networked applicances, security systems, industrial controls and Web radio. The MC9S12NE64 is a 16-bit microcontroller that can be matched with a third-party TCP/IP stack of your choice to achieve a low-cost end-node Ethernet solution. The MC9S12NE64 is based on the powerful HCS12 core, which integrates third-generation Flash technology. Its rich offering of Ethernet connectivity features makes the MC9S12NE64 a favorite to replace noisy multichip solutions with full-featured Ethernet connectivity. 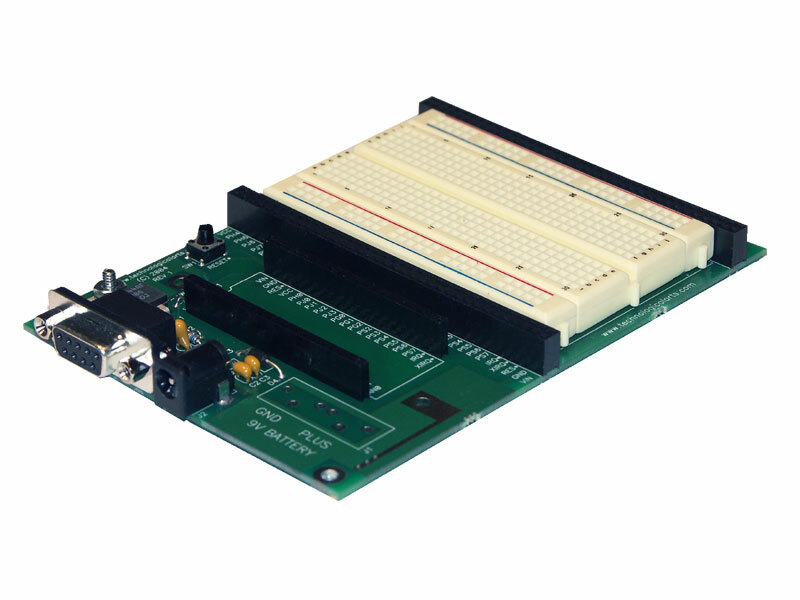 Development and training platform for neCore12 embedded Ethernet modules.